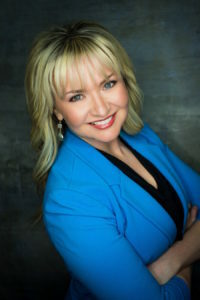 Helvey Communications is owned and operated by Kristin Helvey, MBA, APR, who has worked for over a decade helping organizations drive communication improvement. Her teams have earned numerous awards for special events, communication materials and campaign design, while building extensive and unique experience in multicultural communications and community partnership development. Kristin is published nationally for her client’s work in engaging underserved populations. Inspired by the potential strategic communication has to effect positive change, Kristin consults with and assists organizations across community sectors to improve both internal communications and community standing, and utilizes a network of skilled professionals to deliver products and services that meet the entire spectrum of public relations and communications needs. Kristin’s Alaska Native heritage lured her home to Alaska after finishing her bachelor’s degree in public relations at Oklahoma State University. To ensure a keen understanding of how communication affects business priorities, she completed a master’s in business administration at Alaska Pacific University, where she later returned as a professor of marketing. Kristin serves as a board member for Public Relations Society of America Alaska Chapter and Beyond Borders. She is accredited in public relations from the Public Relations Society of America.